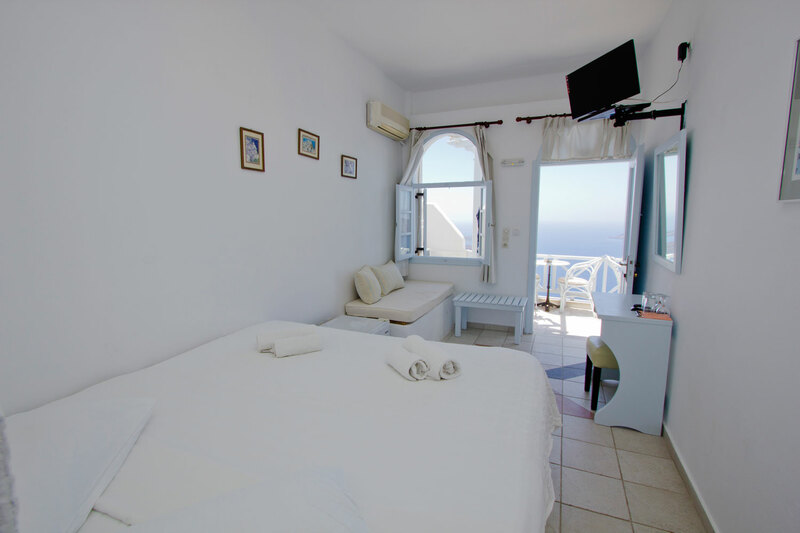 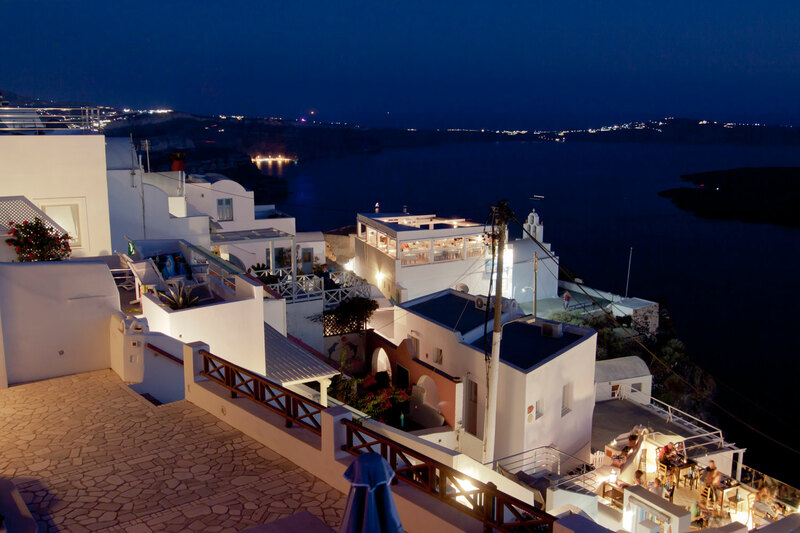 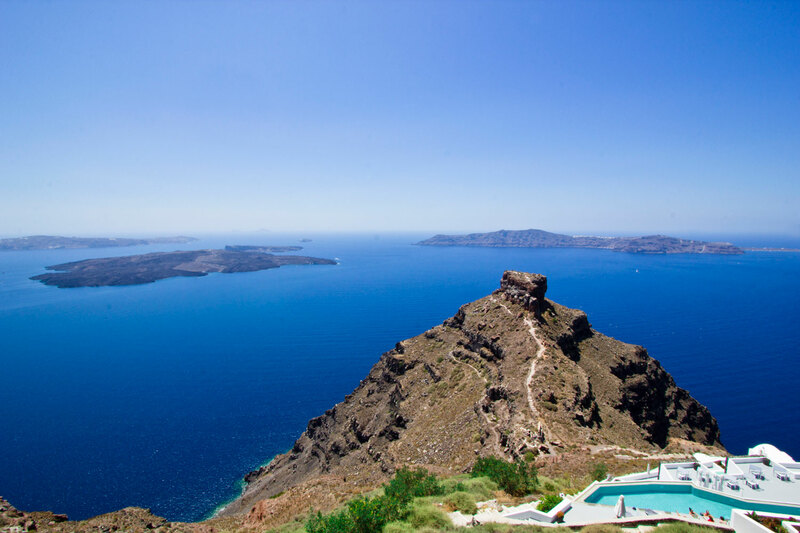 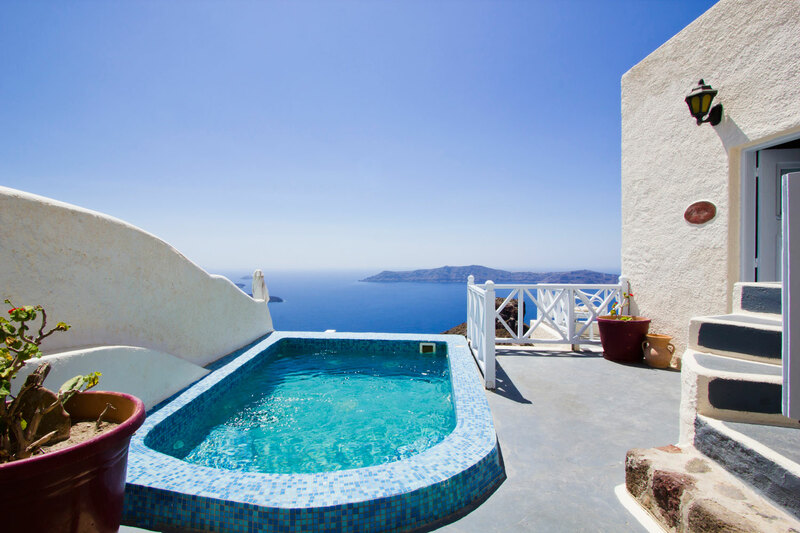 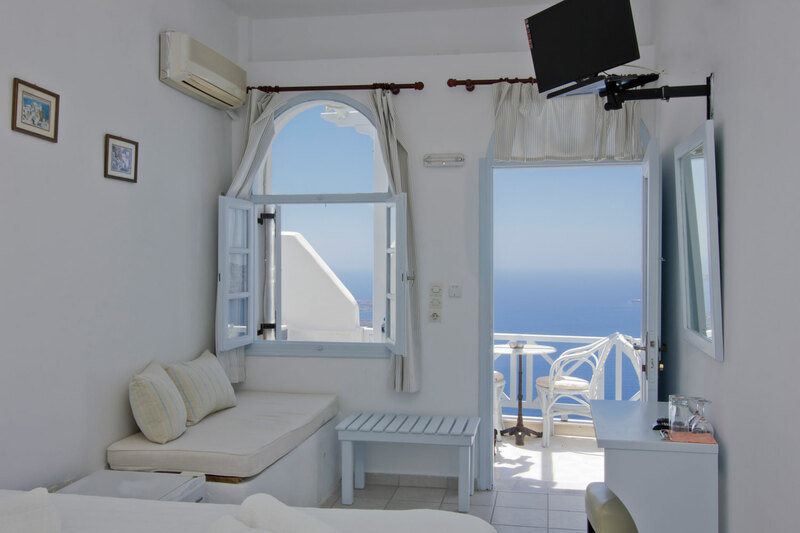 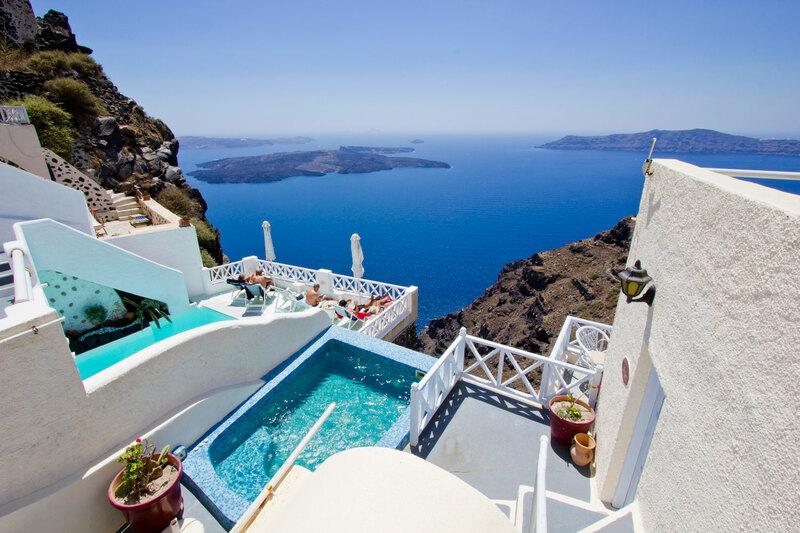 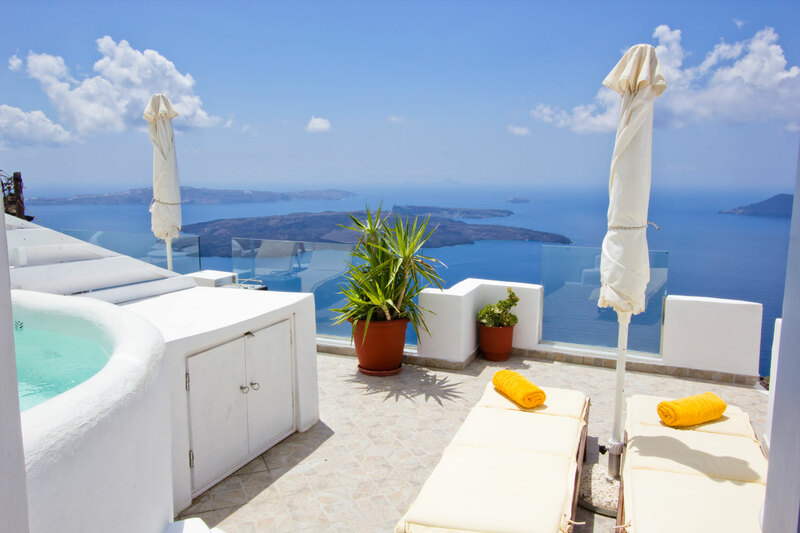 All studios and suites offer magnificent views of the Caldera / Volcano and the island of Therasia. 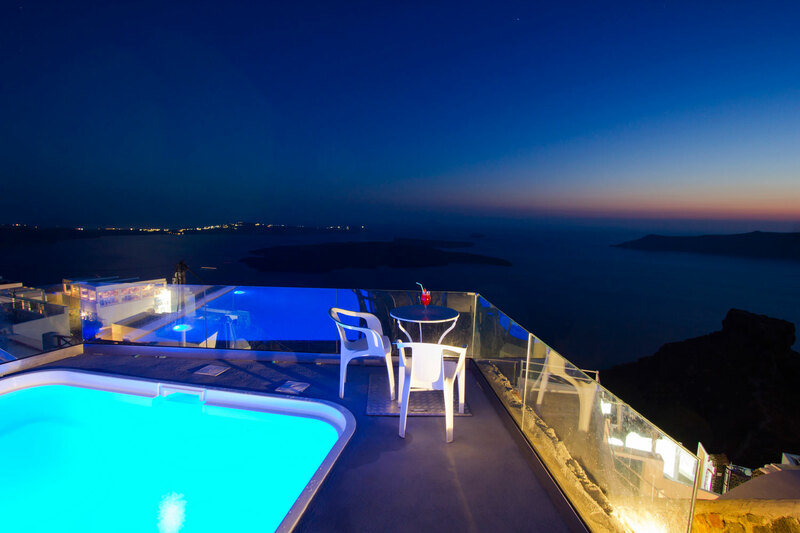 Free Wi – Fi in public areas, a cozy swimming pool and a pool bar are among the facilities Spiliotica offers to its guests. 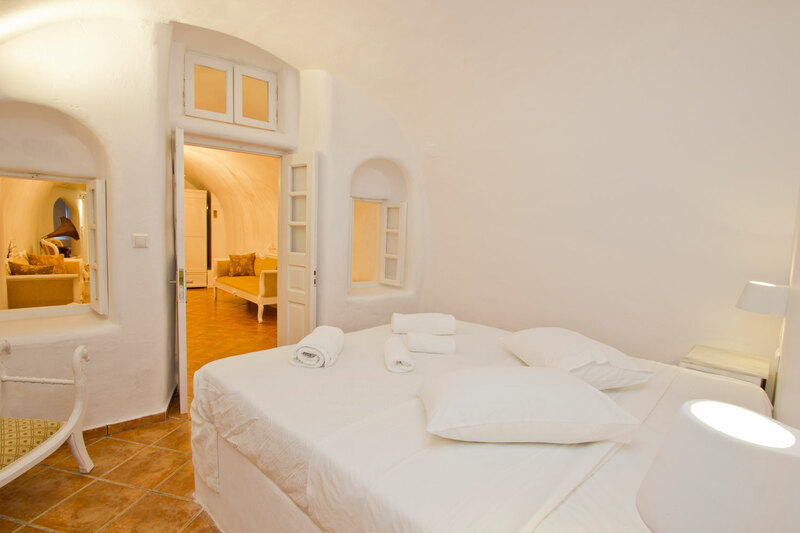 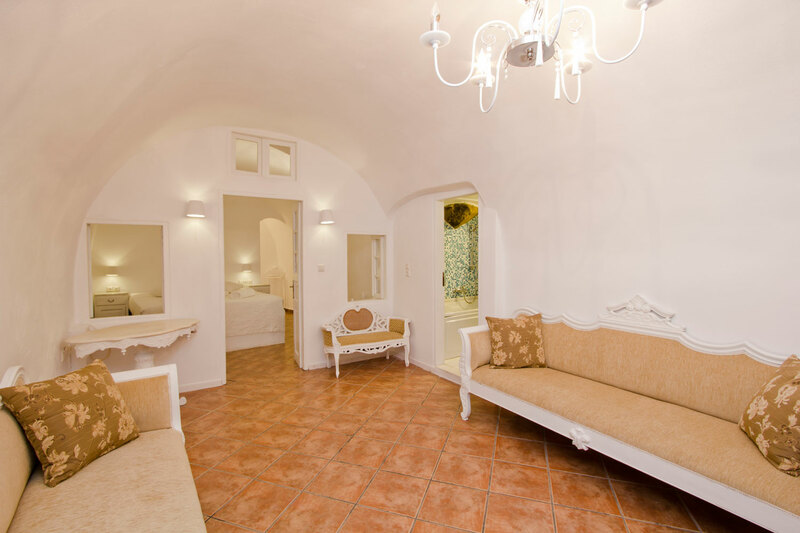 Each studio and suite has its own character, furnished with Greek antiques. 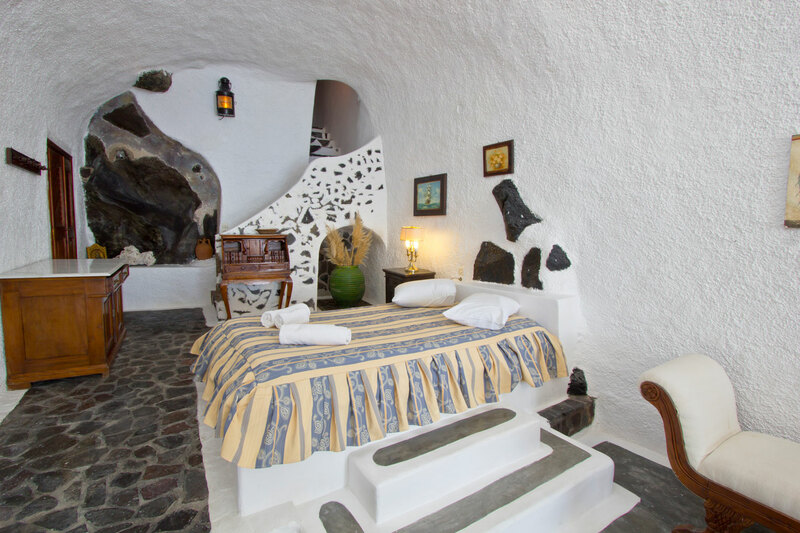 All spacious suites offer either an indoor or an outdoor Hydro massage. 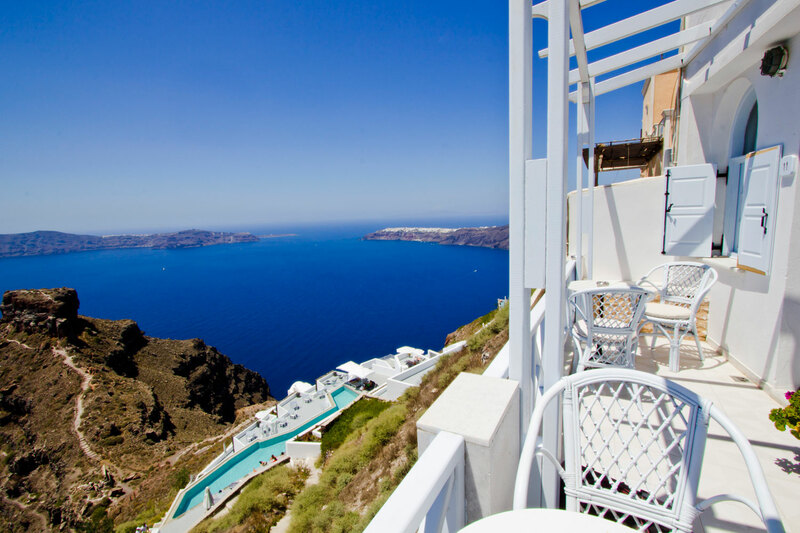 Start your day with a buffet breakfast served by the swimming pool or continental breakfast at your room. 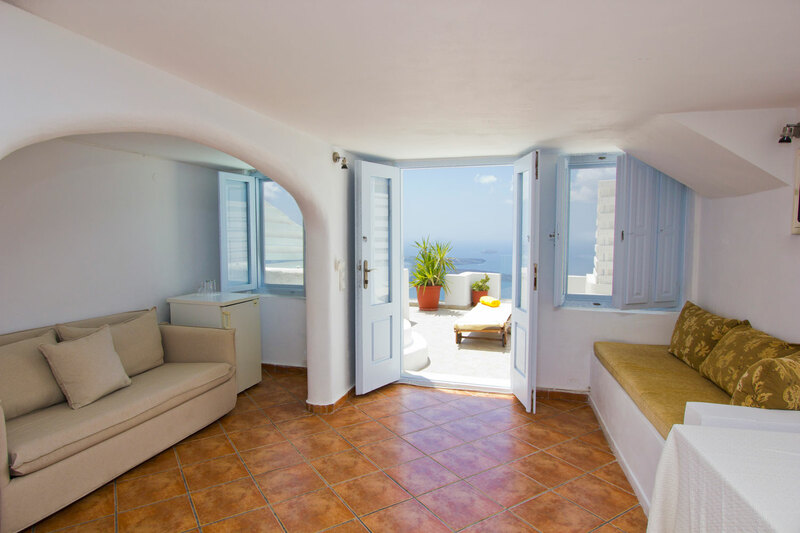 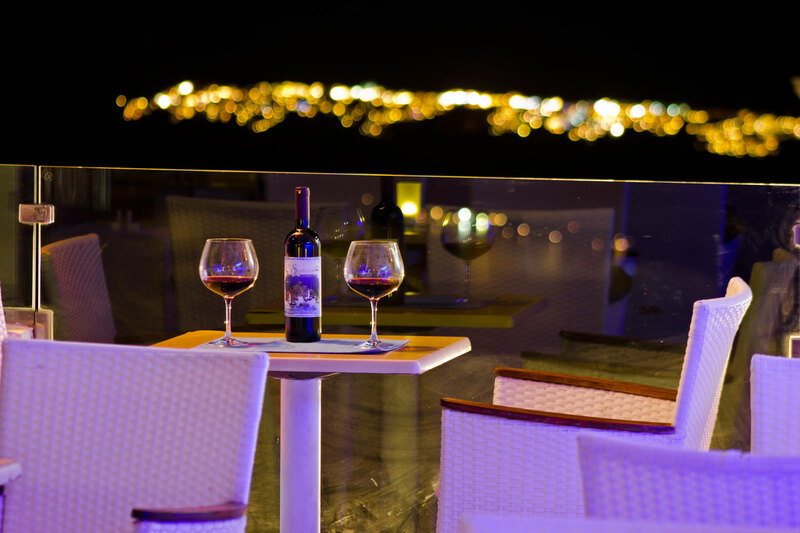 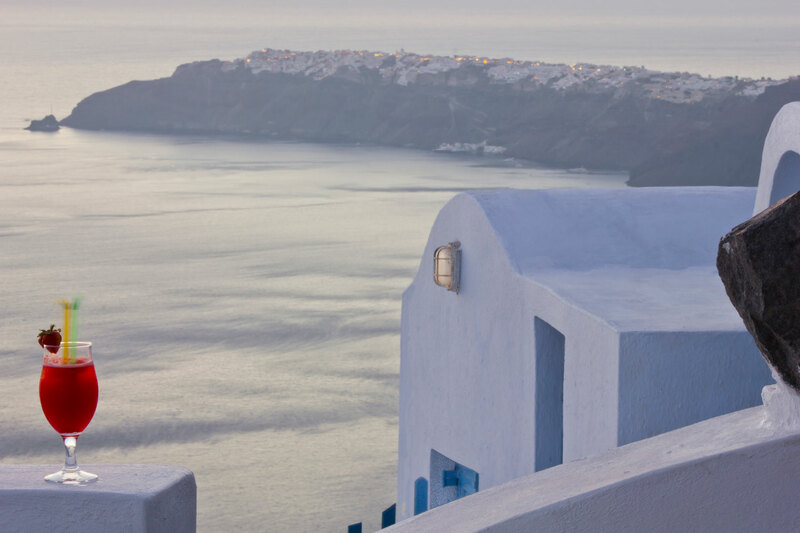 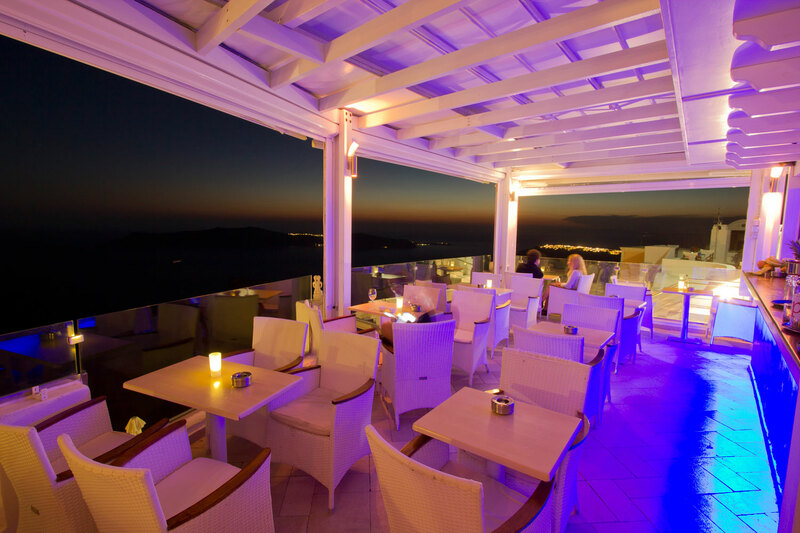 After a long day exploring Santorini relax at the comfort of your balcony, with a glass of fine Santorinian wine, enjoying the unique color combinations as the sun sets into the blue waters of the Aegean Sea.